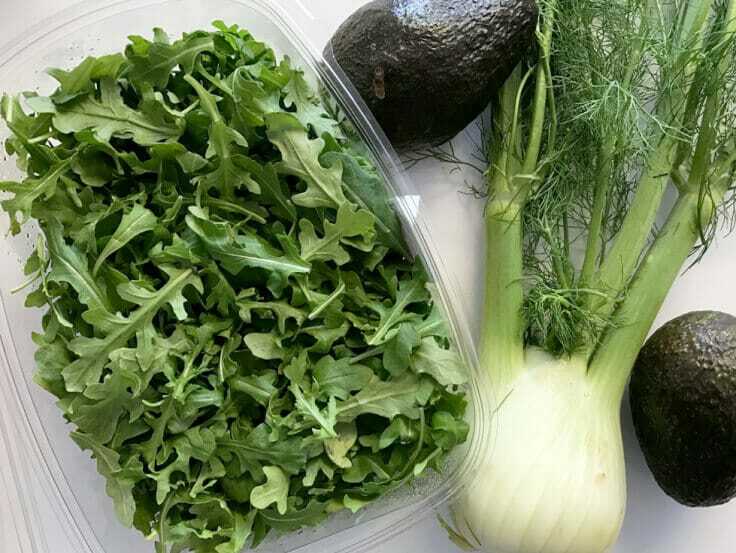 Enjoy this Arugula, Fennel, and Avocado Salad any time of year. 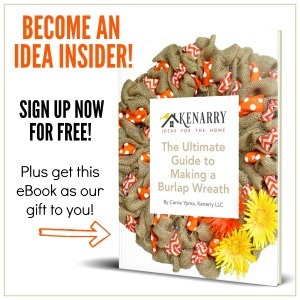 It is an easy recipe to make, so delicious and super good for you! 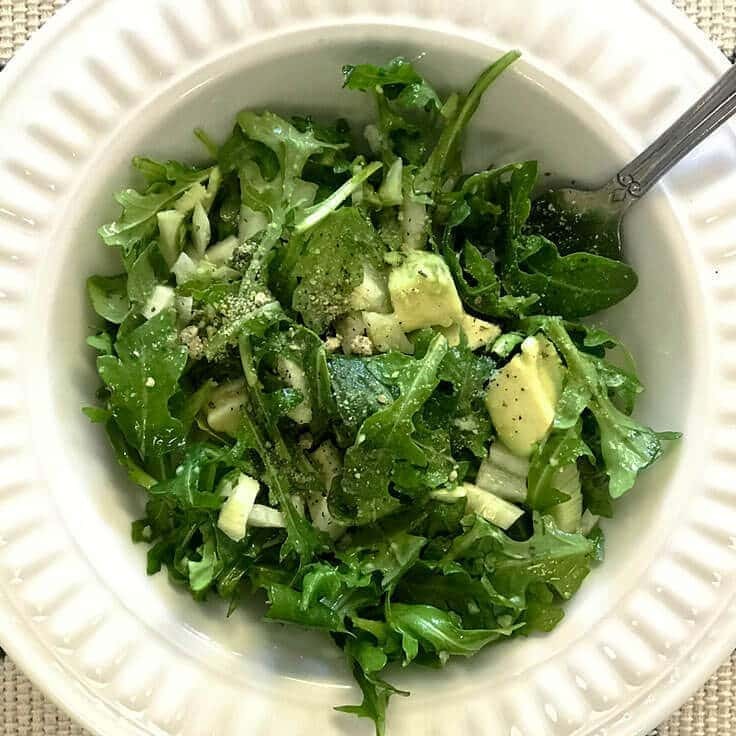 This Arugula, Fennel, and Avocado Salad is easy to prepare and delicious! 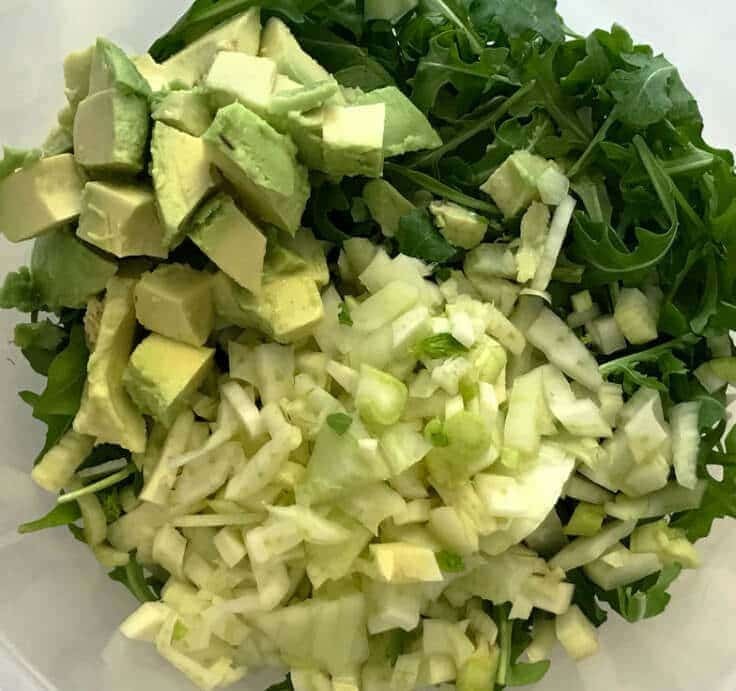 Hi – I’m Lisa from Life on Merlin, back to share this super quick and yummy Arugula, Fennel, and Avocado Salad. This salad is very good for you and has a taste that is sure to please your family. 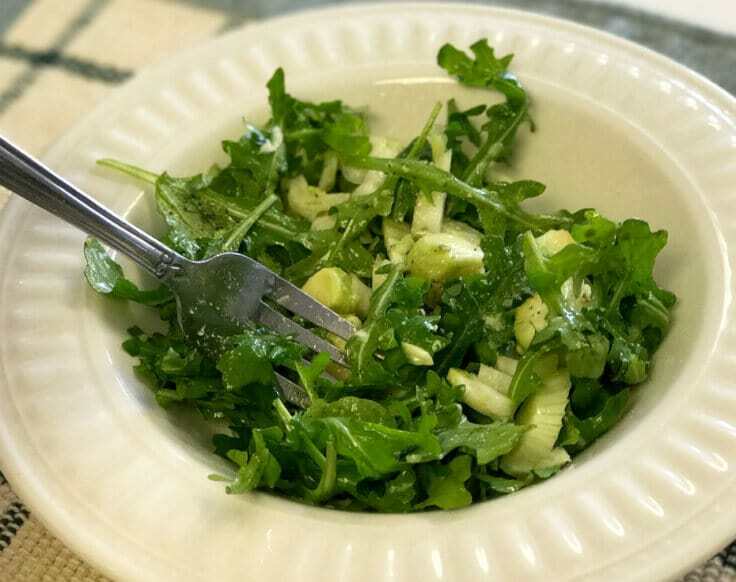 The flavors of this salad are all very unique on their own – Arugula has a bit of a bitter, spicy flavor. Fennel tastes like licorice and anise. Avocado has a mild flavor that mixes well with others. Put these all together and add some lemon juice and Parmesan cheese and you have a tasty and unique salad. To save time, I use pre-cut and trimmed arugula. It makes it so much easier when all you have to do is cut up the fennel and avocado. 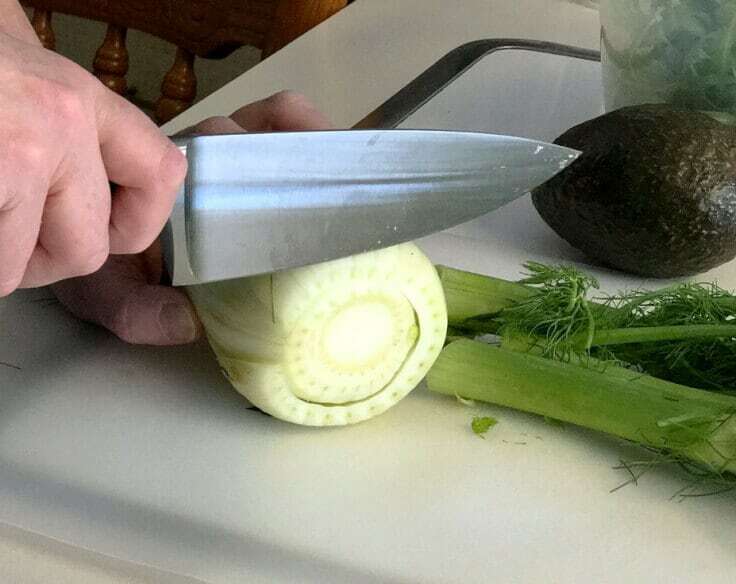 Make sure you clean the fennel very well before you cut it. The dirt can hide in the leaves! I love to make this salad on Sunday and munch on it throughout the week. A delicious, tasty and very easy salad! 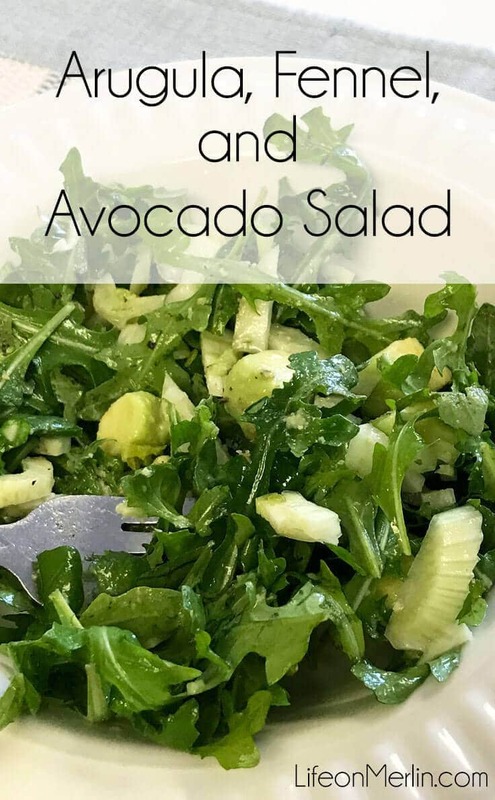 Combine the arugula, fennel, avocado, lemon juice, olive oil and salt.